Presently Co-Managing Partner at Raphaël & Associés, Adel Nassar co-authored the draft of the Lebanese Gas and Oil Law, acted as a Member of the Parliamentarian Commission in charge of modernizing the Code of Commerce and advised multi-million dollar transactions across various continents, most notably a real estate project in Brazil for the approximate value of one hundred million dollars. 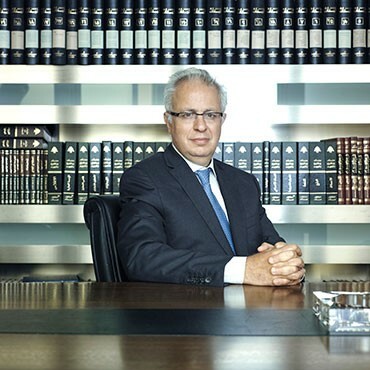 He is renowned for winning major arbitration proceedings and frequently establishes telecommunication businesses, major industrial projects, real estate projects, mergers and acquisitions, banking projects and other projects and transactions in Lebanon, Syria, Armenia, Switzerland, France, Brazil, USA, various countries in Africa, and other jurisdictions. His practice focuses on arbitration, banking, construction, corporate/commercial, finance (IPO and private placements), insurance, international transactions, investment funds, IT, M&A, oil and gas, mining and quarries and telecommunications and legislative drafting. Adel Nassar acts as a board member for several companies including major multi-national insurance companies.